Can KernowPrint be trimmed and Die Cut? 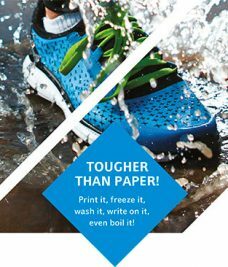 Is KernowPrint Dry Toner waterproof? What Best Practices Are Recommended When Running KernowPrint Dry Toner? Media must be acclimated in the original sealed package at the printer environment for 24 to 48 hours before use. Any unused media should be stored in the original box. For optimum image quality and reliability, maintain printer room Relative Humidity at 40% or higher. Printer room Relative Humidity of 40-45% may require transfer and fusing adjustments for best image quality results. Printer Room Relative Humidity conditions of less than 40% are not recommended. 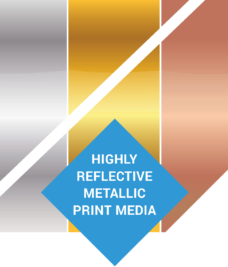 A 1-inch margin on both the trail and lead edge of the sheet is recommended; however a 2-inch margin may be required to eliminate the occurrence of Edge Deletion Artifacts when printing 3 and 4 color process colors. Multiple 3 and 4 color process solids may be more prone to image quality artifacts such as streaks and mottle. Printer setting recommendations are intended to be “Starting Point” target values that may have to be adjusted depending on printer room %RH, artwork composition and / or printer condition to obtain optimum image quality. When consecutively printing more than 1000 sheets it may be necessary to run plain paper that is the same size as the synthetic media every 500 sheets in order to clean residual fuser oil from the fuser section for printers that use fuser oil. Please check with your service representative to determine if this is required. It is highly recommended that the End User try a sample before purchasing significant quantities. 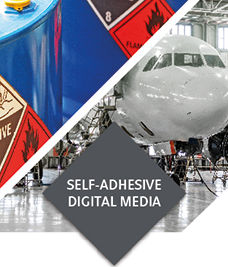 What are the different types of adhesive we offer? What is the difference between Permanent, Removable and Low Tack adhesive? What is the shelf life of label products? Is KernowPrint Dry Toner considered to be acid free? No. While the base sheets are acid free, the top coating is not. Because the top coating is such a small portion of the overall material, some users use it regardless in acid free applications. Can KernowPrint Dry Toner be Recycled? KernowPrint is a pure synthetic being recycled as a category 7 or category 1 polymer, depending on local regulation and availability. 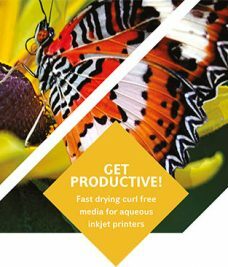 How long will the image last on KernowPrint Dry Toner when used outside? The longevity of the image depends on the concentration of UV in the light it is exposed to. Direct sun is worst case and from what we have seen the image will begin to fade within 6 months of direct exposure. We do not know if the fade curve is linear relative to UV concentration or how long the image will last in total darkness. 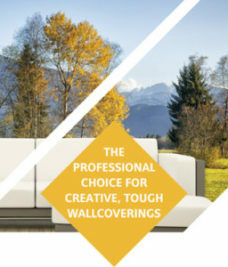 The key however is protecting the image from UV whether it is through using UV-screening over-varnish or glass containing a UV barrier. Toners also vary in printing hardware, with a variation between different makes and models possible. What are the recommended environmental conditions when running KernowPrint Dry Toner? 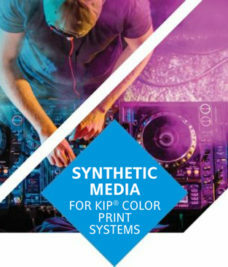 Controlling print room conditions are crucial when printing synthetic media. Temperature and humidity should be controlled between 10-30C (70-76F). and 40 – 55% Relative Humidity. Failure to control the environmental conditions will cause static buildup impacting print image quality and media handling performance. Is KernowPrint Dry Toner compatible with Digital Printing? Kernow KernowPrint is approved and compatible in numerous OEM’s dry toner copier/printers including Xerox, Ricoh, Konica/Minolta, Canon, and Kodak. KernowPrint is also HP Indigo compatible. Kernow North America can provide printer run settings. Can KernowPrint Dry Toner be printed using offset presses? Yes. Oxidative and UV inks formulated for use on plastic are compatible. Laser safe inks are recommended if the preprinted stock is to be run in xerography. When using oxidative inks, limited use of drying powder is recommended. Limit ink coverage in areas to be laser imaged. Maintain a minimum of 45% press room relative humidity. Do you make Drawing Films for outdoors? If you require to use Drawing film outside in all weathers, Archelogy for instance, please enquire as we do have a product that is water resistance. Our drawing film can be screen litho UVC printed, offering a low cost Backlight opportunity. Do you make Diazo Film? We do still produce a Diazo film 125 microns. The product is produced only once per year but If you require Diazo film please do let us know and we will see what can be done. Do you have a flat bed plotter product? We have a D&R Product, called Kernowloft-this excellent lay flat Ink/ball point plotting film is still available, complementing our DIAZO film. Flat bed plotters? It’s a Guaranteed lay flat product. How do I use Design Jet film? DESIGN JET TRANSLUCENT JET DESIGN FILM, this product is Ink jet printable BUT does has a coating on the reverse enabling pen/ink drawing to be made. Do you have a product for wide format PPC Printers? 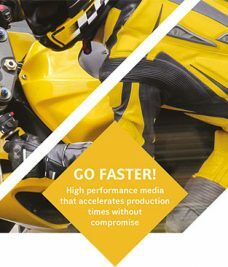 We still produce polyester film products for Wide format PPC printers. In Translucent (frosted), White and Clear. Do your Design & Repro Products come as sheets or rolls? 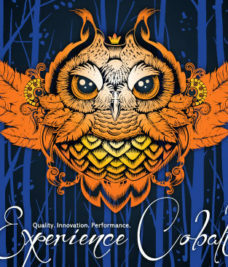 All of our Design & Reprographics materials can be sampled in wide format rolls or sheets. If you can't find your question in the list above, let us know and we'll get back to you with an answer.